Orvakal Rock Garden is a huge park with natural igneous rock formations surrounded by pools of water. 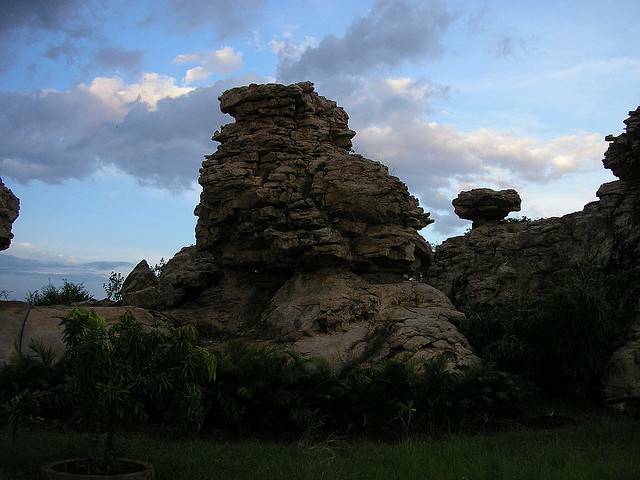 Orvakal Rock formations are situated along the NH-18 highway, just outside Orvakal. This locations is about 20 Kms from Kurnool city. Andhra Pradesh Tourism Development Corporation (APTDC) has developed this place as a tourist attraction and now offers a restaurant, boating facility and picnic areas as well as a cave museum. Haritha Cottages located inside the park provide overnight stay facilities.